“Doctors told us his liver is completely damaged and he can hardly survive a day without a liver transplant. He is in the ICU, fighting every passing minute to live and I'm just watching helplessly. I don't know what I can do in a day's time. I have begged everyone I know. Even if I work my whole life, I'll not be able to make this huge amount. If I can't save my son, I will never be able to forgive myself. 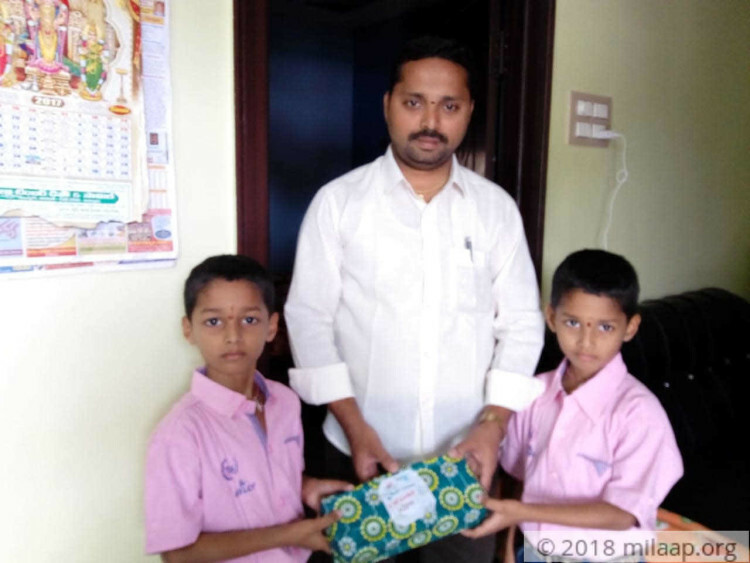 "- Nageswar, Father of 7-year-old Govind. Nageswar is a weaver from Singarayapalem, a small village in Andhra Pradesh. 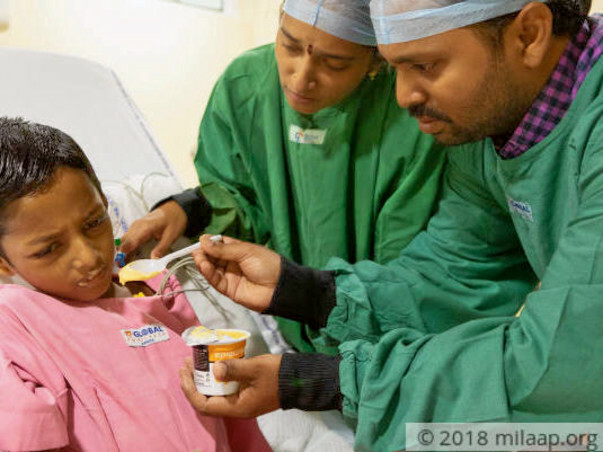 3 days ago, he learned that his 7-year-old son Govind was in the final stages of liver disease. Since then, he has been trying to arrange for a liver transplant for his son, knowing that every day he loses risks his child's life. For the last one month, Govind has not been himself. His parents noticed that he got angry quickly and forgot things. 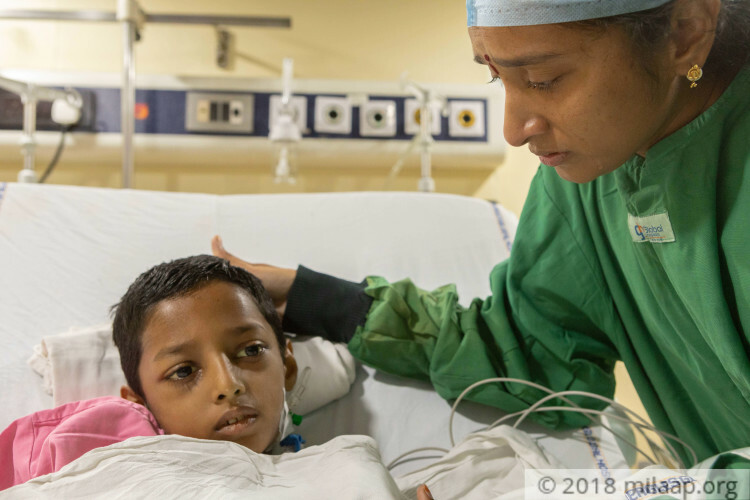 It has been a week since Govind was diagnosed with Wilson's disease. It is a condition where the body is unable to get rid of copper and it accumulates in the organs. 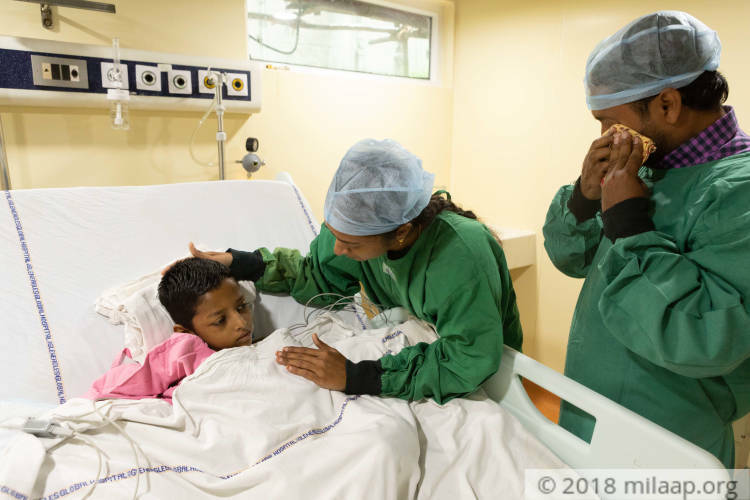 In Govind's case, the accumulated copper has completely damaged his liver. “He had jaundice. He got treated for a month but instead of getting better, he got worse. He fell down, and even after falling could not lift his head. He was so irritable, he didn't even let us hold his hand. 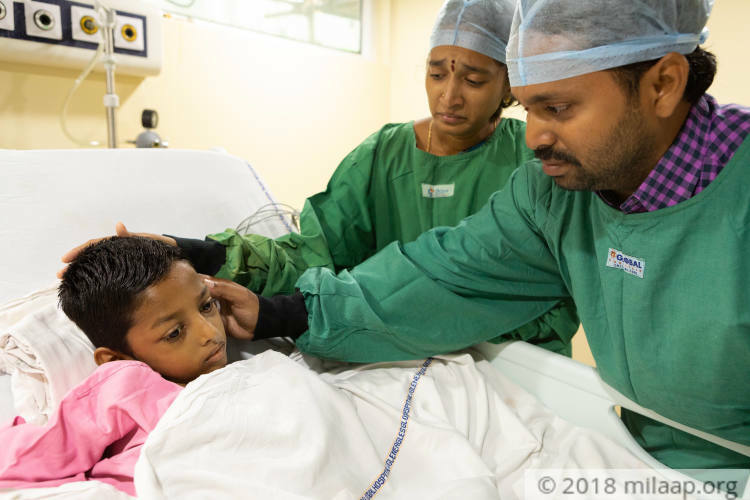 Our doctor told us to bring him to Hyderabad, and here, they said he needed an immediate liver transplant.” – Nageswar. “It is a sorrow that can't be described in words. Both our children, for whom we live, have a serious disease from birth. 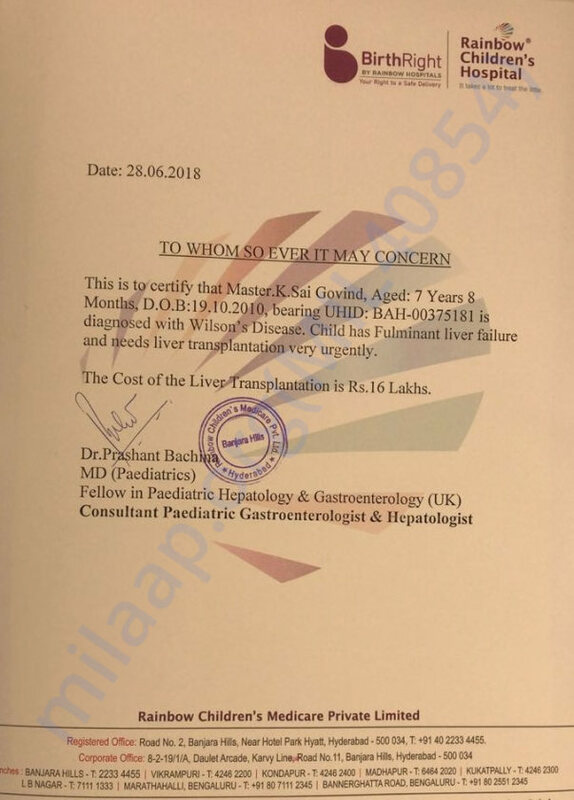 Without us knowing, it completely damaged Govind's liver and he is in the last stage. His mother and I got tested and she is a match to be a donor. Somehow, I keep repeating to myself, I have to save my child.” – Nageswar. Govind is in this critical stage of the disease, while his brother Siva Ganesan is still in nascent stages. His mother is ready to give a part of her own liver to save him. The only reason Govind's life is still in danger is that Nageswar cannot afford the treatment. Nageswar and his wife are both weavers who weave cotton sarees. Together their work brings them an income of Rs 3,000 a month. In the last three days, Nageswar has borrowed over Rs 2 lakhs to complete different tests. 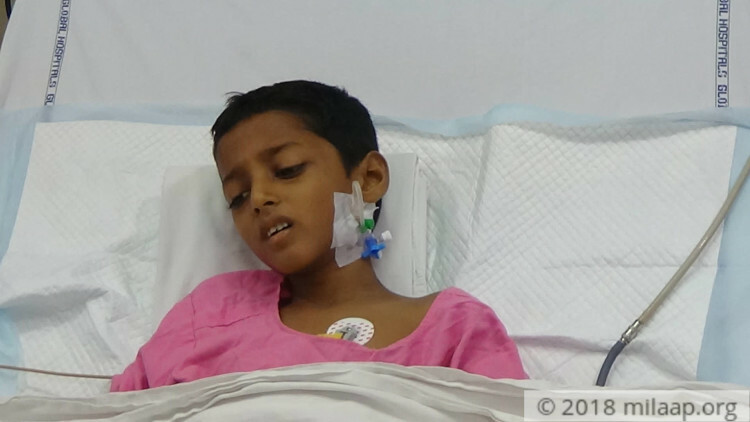 With Govind in the ICU, the costs have crossed more than Nageswar can afford. This father needs immediate support to save his son. We would like to inform you that Govind is showing signs of recovery. The family has taken a house nearby to the hospital and going for the regular weekly follow-ups. The doctor has asked them to come for the regular weekly follow-ups for the first 2 months as there might be a chance of getting infections. As a part of regular follow-ups, the kid is undergoing the blood test and scanning. Here is an update on Govind Sai's health. Thank you so much for the love and support. We would like to inform you that Govind is also making attempts to walk. He will still need to visit the hospital for follow ups on a regular basis. The family will stay somewhere nearby hospital so that they do not need to travel much. God Bless You! Prayers For Your Speedy Recovery! Get Well Soon!